I am pleased to announce to you the appointment of Mr. Matthew Raggett as Headmaster of The Doon School to replace Dr. Peter McLaughlin, who is retiring this summer. After an extensive search conducted for the school by international recruitment consultancy Heidrick & Struggles, and further work by a search committee comprising myself, Mr. Shashank Vira, Chairman of the Education Committee, and Mr. Ravi Bulchandani, the Board ratified the selection of Mr. Raggett for appointment at its meeting in Bangalore on 11th April. After discussions with Mr. Raggett, he has accepted our offer of appointment and will join Doon during the summer. Mr. Raggett, who has had an extensive career in international education, is currently the Principal of the Secondary School of Leipzig International School in Germany. He grew up in the South West of England and studied Maths and Theoretical Physics at the University of Newcastle. As well as professional teaching qualifications, he has an MBA in Educational Leadership from Charles Sturt University in Australia. As he has a true sense of vocation, Mr. Raggett chose a career in teaching because he believed it was in education that he could make his greatest contribution to society and find the most rewarding work. He taught Physics in the United Kingdom before moving to the Vienna International School as Head of Physics in 1998; he continued to teach Physics in subsequent positions. He has boarding experience in a number of the schools in which he taught, including Pearson United World College in Canada; United World College in Singapore; and King’s College, Madrid, where he was head of the boarding section. In Leipzig since 2009, Mr. Raggett has administered the senior school and taught in the IB programme. 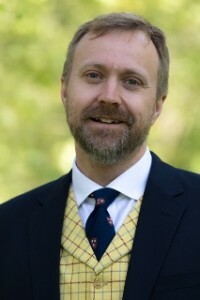 Through his wide educational experience and professional development, Mr. Raggett impressed the selection committee as the candidate to lead the school forward in the completion of the Development Plan launched in 2010-11 and which extends to 2020, and the creation of the next roadmap for Doon’s continued progress. He has invaluable experience in strategic planning and educational policy-making and implementation in a variety of international settings. His wife Lindsay was born in Belfast, Northern Ireland (coincidentally Dr. McLaughlin’s birthplace). She became a teacher of German in the North of England after reading for a degree in German Studies with English and Sport at Newcastle University, and has taught at Vienna International School, as well as in Canada, Singapore, Spain and latterly in Leipzig since 2009. In recent years she has focused on teaching English and English as an Additional Language. Mr. and Mrs. Raggett have three children. Matthew Raggett joins us to continue the excellent work done by Dr Peter McLaughlin in lifting the academic standards, pastoral care and overall performance in school. With the help of an excellent team of teachers and the recent appointment of Phillip Burrett as Second Master, I believe we now have in place the leadership team to continue with the all round development of the school. Please join me in welcoming Matthew, Lindsay and their children. I look forward to all of you for your help in settling them down quickly at school, and we all wish him and his family a happy, fruitful and immensely rewarding tenure at Chandbagh.